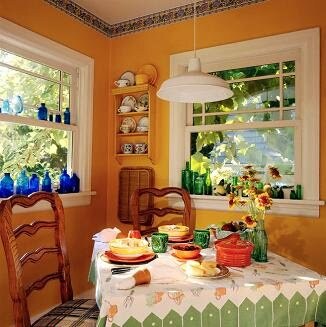 Placing some plants in the kitchen can not only clean the air, but also improve the moods who stayed in the kitchen, so you can make best dishes, and placing right plants can increase the kitchen feng shui as well as take you more wealth, here are some tips on feng shui when you want to place some plants in the kitchen. If the kitchen in your house is located in the South, and placing foliage plants will contribute to your savings. 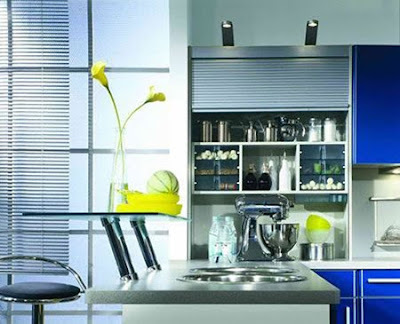 Kitchen located in the south affected greatly by red sun, and you will unknowingly have a strong tendency to overspend. While foliage plants are able to abate the foul air of sun and reducing the intention of over overspend, so foliage plants is advantageous for saving. Kitchen located in the East is very auspicious, if it is in other directions, you can place red flowers on the table or settle them close to the refrigerator, which is very conducive to keeping a good health. 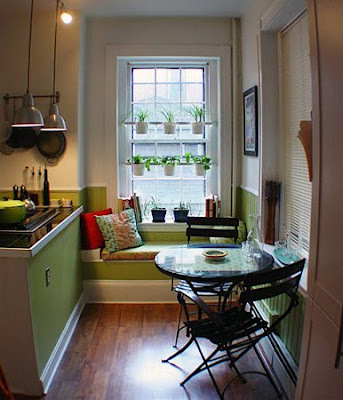 If the kitchen in your room is located in the West, you may placing golden flowers, daffodils or pansies, which can not only turn away foul air of sunset, but also bring you more money. If the kitchen is located in the North, you may placing pink and orange flowers in it, which is helpful to adding vitality to the whole house.